“3D”covering, studied for indoor use, is a practical wall covering system. 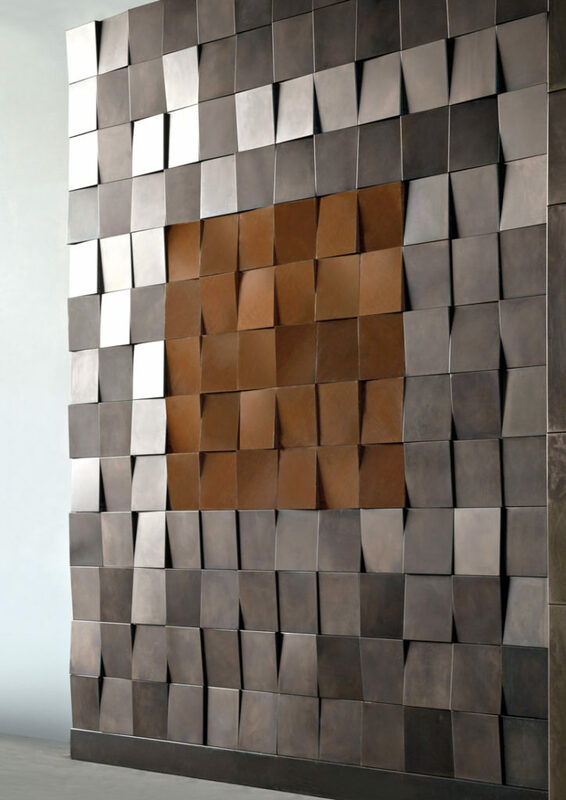 Cubic forms, diagonal sectioned, are fixed through magnets to a galvanized iron plate, previously installed to the wall. 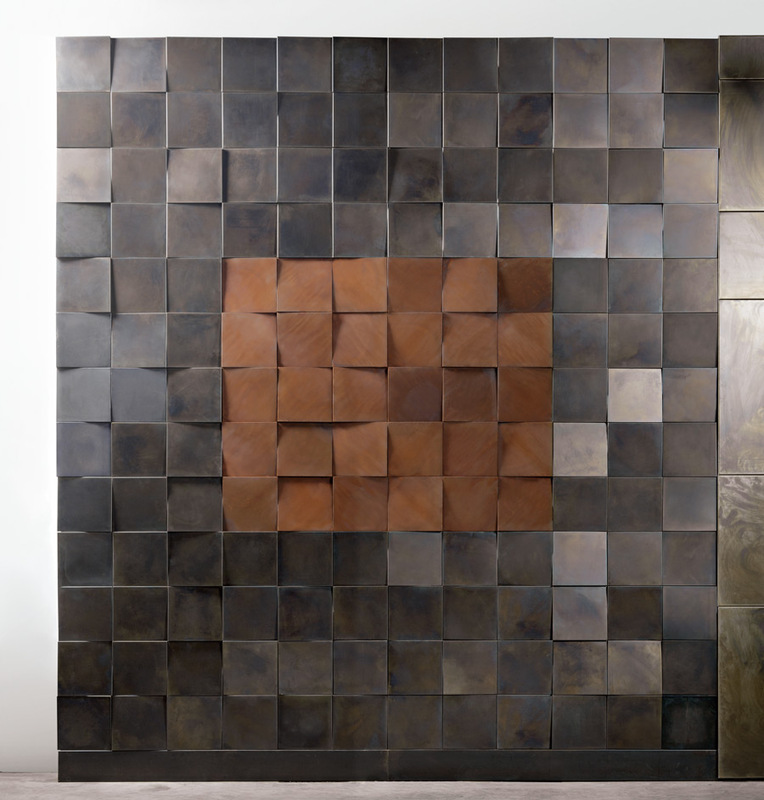 Rotating each tile of 90°, it is possible to create a combination of different tonalities.